If you love holidays, you will really love the amazing deep deals and discounts that happen during these holidays. There are always a ton of holiday sales going on in America, and these holidays can save you a ton of money. Whether you are looking for a small item or a large item, you are surely to find the best deal for the items you want the most. The biggest thing is to know when, where, and what to buy during these holiday sales. Most people have heard about Black Friday, Cyber Monday, and Christmas sales. These might be the biggest holidays and sales of the year, but there are a ton of other holidays in American too. During all of the holidays celebrated in America, there are always retailers offering discounts and promotions. Some of these discounts are really impressive, such as 85 percent off retail price! Labor Day is one of the biggest holidays in America, and the sales during this time often reach 85 percent off retail price! Some of the items that you will find on sale during this time of the year are related to summer, since it is right after the summer season. There are a lot of sales on barbecue equipment, such as grills and accessories. Sporting equipment, garden items, sunglasses, swimwear, sundresses, summer dresses, and much more are also part of the deals. You will also have great deals on summertime shoes, including sandals and other seasonal footwear. 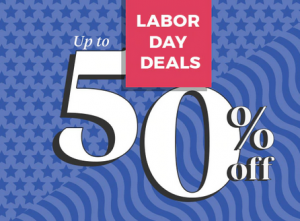 The sales on Labor Day are focused on this summer apparel and related items because the retailers are trying to get rid of the stock they have. People purchase these summer times during Labor Day even though they won’t need them until the next year, mostly due to the steep discounts being offered. There are also other deals you can get during Labor Day, since it is right as school is starting too. You can get backpacks, stationery, clothes, shoes, and other items related to going back to school. Other items that are not related to summer or school are also on sale, such as appliances, electronics, jewelry, and so much more! 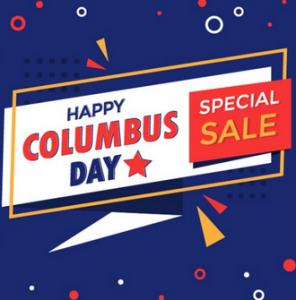 There are also a ton of sales and discounts available around Columbus Day, since that is an official holiday in America. Huge discounts both in-store and online can be found on some of the most-used items. The sales peak the actual day of Columbus Day, but there are often times sales that run a week or two beforehand leading up to the holiday. During this time, you can find sales on items for children, electronics, clothing items, shoes, and so many other items. If Columbus Day falls on a Monday, then you will often find the deals are really deep on Saturday. You can find deals ranging from 40 percent off to 70 percent off, and sometimes even higher! When it comes to Martin Luther King Jr. Day, there are also a ton of deals to be had. You will find a ton of deals on various items, including clothing and shoes. The deals that happen on Martin Luther King Jr. Day are not quite as big as other holidays. You can still easily score 20 percent or 30 percent off most items during this holiday. Around a month after Christmas, you will have the Martin Luther King Jr. sales. As this special date approaches, you can find a ton of Christmas items on sale! These Christmas items will be sold at the maximum discount, since this is right after the Christmas holiday. Most people shop for festive decorations, Christmas decorations, and so many other items. You also can find deals on cosmetics, jewelry, and Christmas-collections related to clothing items. During Easter, you can find a ton of deals and discounts because this is a very special holiday for many in America. Easter sales are actually the second-biggest only coming in behind Christmas. For Christians in America, Christmas and Easter are really the biggest holidays. For Easter, you can find a ton of textile products with Easter prints and also find many Easter decorations on sale. There are summer clothing items and shoes from the previous year still on sale. Seasonal goods such as sunscreen and swimsuits are also on sale during this time. Other Easter items for sale include candy, toys, and other treats for kids that go with the Easter fun and celebrations. If you want to save even more money, you can purchase a lot of your items online. Purchasing online gives you the option to get a lot of these deals anytime of the year, regardless of the season. You will not have to worry about any seasonal sales if you shop online. There are also a ton of services that will help you save money, because saving money is also a huge deal in America. Even if it is not a holiday currently, using coupon or promo codes can really help you save a ton of money when you are shopping online. There is often times a Promo Code section or Floryday Coupon Code section available when you are checking out. Sometimes you might miss this section and other times, you might realize that you do not have a code to enter. You can easily find online coupon codes and special offers that will give you the discounts while shopping on that website. 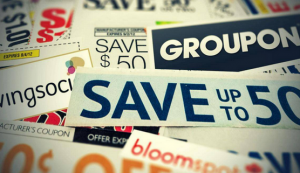 Just Google the name of the store along with the words “promo” or “coupons” and it will often bring up relevant deals. You also can add the month and year to make sure you are getting current and useful promotional codes and coupons for the online site. These deals do not last long and the coupon codes can expire pretty quickly. You really need to subscribe to the coupon websites so that you can get their newsletters in your email. If you do this, then you will get emails with the newest coupon codes and promotional codes to help save you even more money.